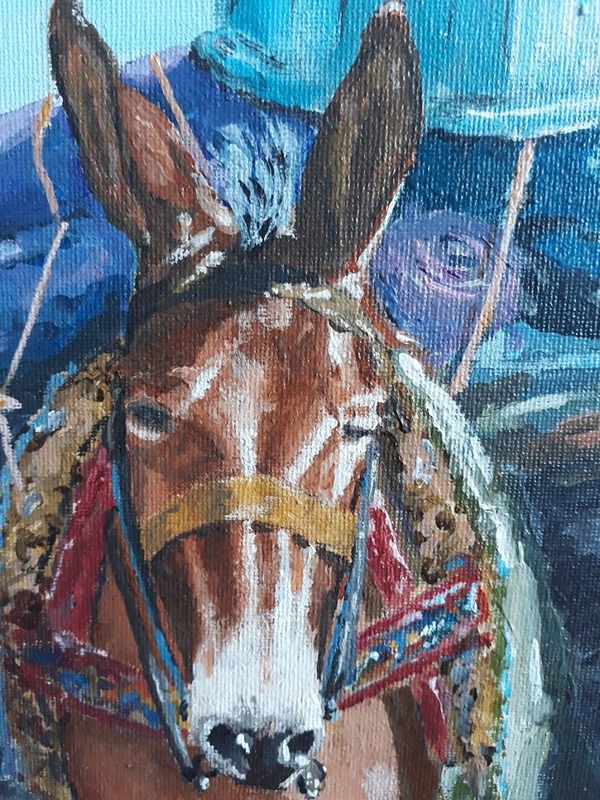 Description: Acrylic on board and set into a white open frame. 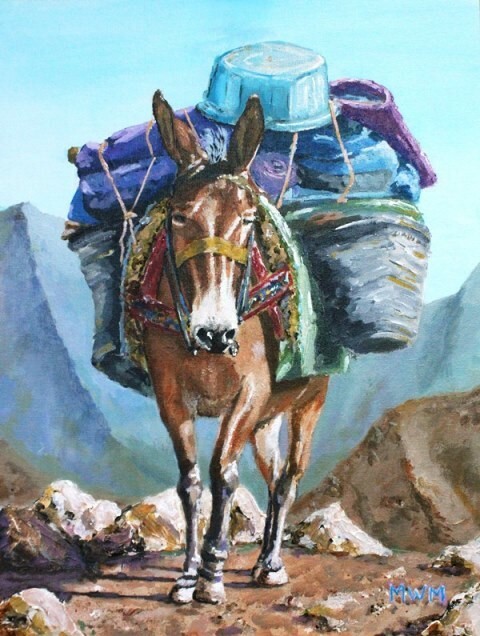 This is an image of a mule carrying kit on my trek across the High Atlas Mountains in Morocco. Delivery Details: UK postage included.